What teacher doesn’t want to be told they are a superhero!. Plus a tote is useful and will be appreciated. Gather just a few supplies and you can make something special. 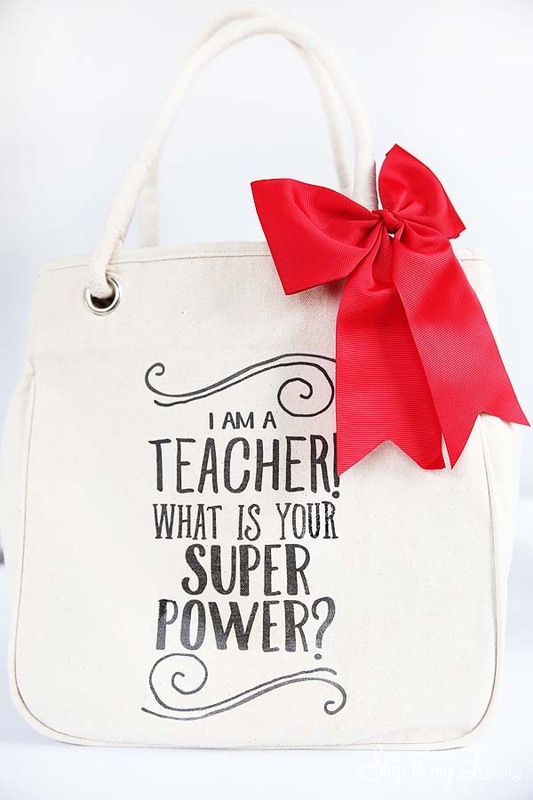 If you have a teacher on your list treat them to this awesome tote or one of the hundreds of great gift ideas for celebrating Teacher Appreciation Week. You will be sure to find the perfect teacher gift. Gather just a few supplies and you can make the perfect gift. I have provided the iron-on for you! Just iron for an easy last-minute teacher gift. a canvas tote bag (I found this heavy duty tote at a large craft store. There are a variety of styles to choose from.) If you think your teacher might not be into a tote this would work well on a t-shirt too! iron on transfer sheets. Make sure you get the right type of transfer paper for your fabric. I choose the transfer paper for light fabric. 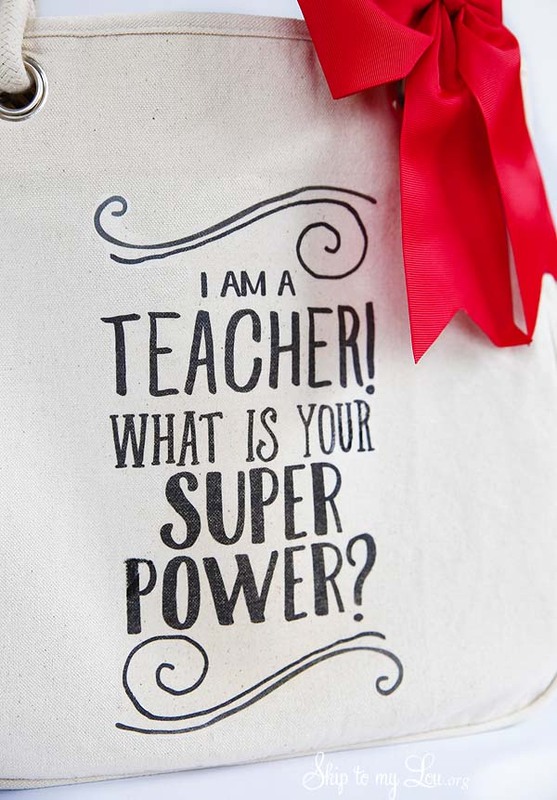 free I am a teacher what is your super power printable. This teacher tote is extra special with the clever saying! Download the free the super hero printable. Print according to manufacturer’s instructions. This printable is already reversed. With scissors trim around the design. According to package directions iron transfer to the fabric. 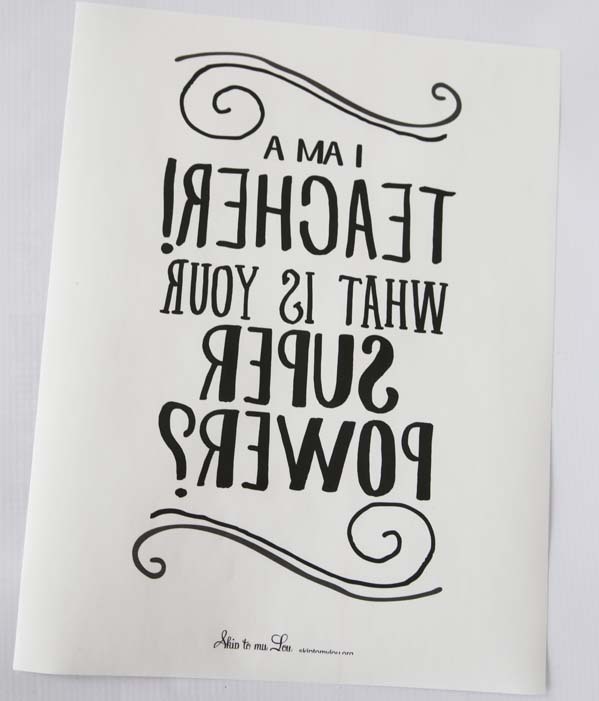 Add a bow and you have a useful teacher gift that lets your teacher know how amazing you think they are! Fill the tote with a goodie like maybe a water bottle, school supplies or even a gift card. This is a great teacher gift that a teacher will love! No need to give the usual coffee mug this year! Tote bags can for sure be a fun gift! Whimsical Teacher Tote – How cute is this one!?! 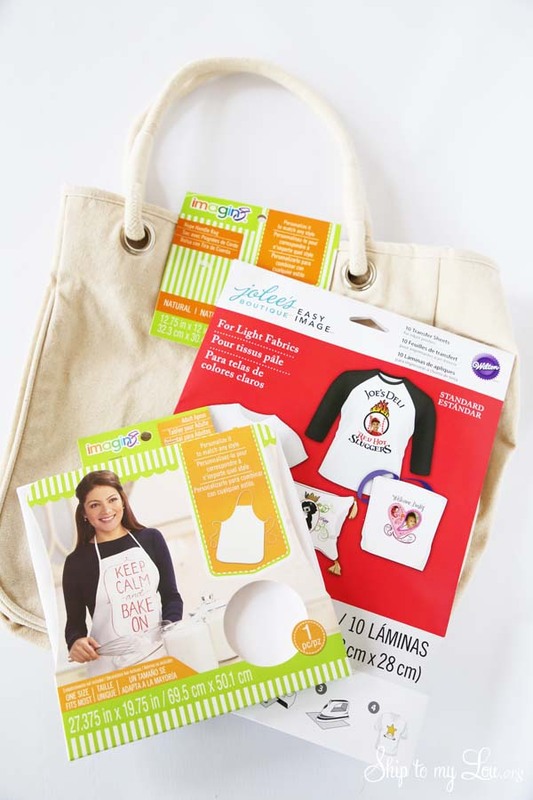 Fun In The Sun Tote – fill a bag full of relaxing items to make sure your teacher has a fun summer.